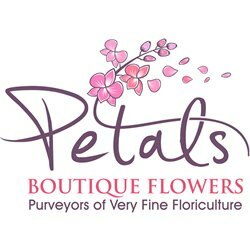 Spread the Joys Of The Holiday this season Christmas Flowers from Petals. 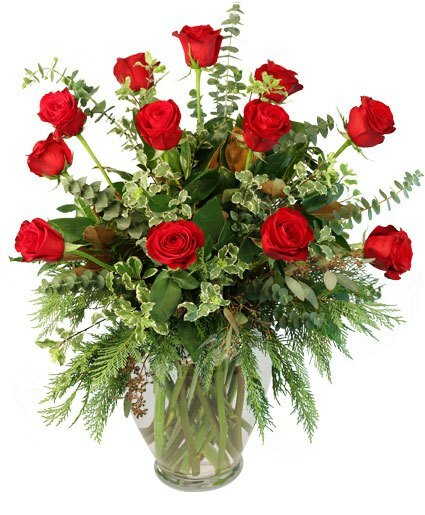 These roses come in a variety of colors of your choice. Arranged on a cloud of fresh evergreens and variegated pittosporum this holiday arrangement will brighten up any room or office. The mere mention of Christmas likely conjures up images of fresh cut flowers of red and white. Deep green evergreens, bright red hypericum berries, pinecones. They are after all, the colors of Christmas. However, what you may not know is that Christmas colors and Christmas flowers are rooted in symbolism that is supported by legend. Popular Christmas Flowers and Plants While you can transform nearly any flower into a Christmas flower by pairing it with Christmas colors, some flowers and plants have a reputation as a Christmas flower on their own.